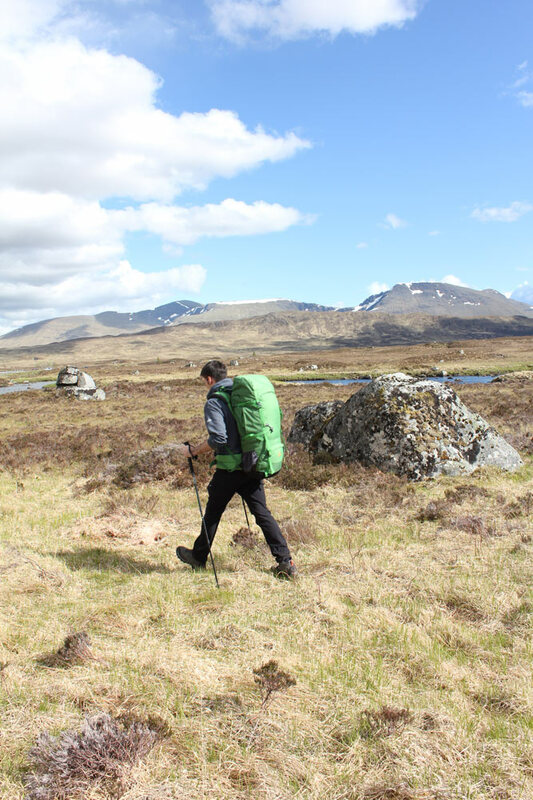 I'd always written walking poles off as for 'old people' until I was mid-way through a 50mile endurance hike - 13 hours and 27 miles in, I had to call it quits. My knees had had enough and I was out. The following year I entered the same hike, but this time I took advice from previous completers and made sure I had a pair of walking poles with me from the beginning. A long 22 hours later, I'd completed the hike and become a lifelong fan of walking poles. With a 24hour limit on the endurance hike, I needed to speed up from my usual amble. During the uphill sections, they allow you to use your arms for propulsion instead of relying solely on your legs whilst during the downhill sections, the poles take some of the pressure off your knees, which can make walking downhill painful, especially on long distance hikes. On the level surfaces, the poles propel you forward and help you maintain a rhythm. Walking in Britain generally means you'll have to slog through mud and puddles on a frequent basis. You can use your walking poles to check the depth and see whether it's safe to keep on marching, or take a detour to save your boots being filled with mud. They're useful for the same reason when hiking through snow. This is true particularly if you're carrying a heavy rucksack. When you need a quick breather but don't want to sit down (because getting up is just too painful), you can lean on the poles to stretch your back, using them to maintain your balance. On a recent coast to coast hiking trip across Scotland, my walking partner and I decided to go light, carrying only a tarp instead of a tent. We used our walking poles to secure the tarp and create our shelter, without having to carry additional poles. Killing two birds with one stone as they say. If you're walking in bad weather and need to get your walking partner's attention, they may not be able to hear you if they have a hood up and the wind is howling. Your walking poles can be used to give them a little nudge to get their attention. It's far less frustrating than spending 10 minutes yelling at your partner, when they just can't hear you. In an emergency, a walking pole can be used as part of your first aid kit; on a recent First Aid in the Outdoors course, we learned how to splint a broken leg with your walking poles. Get the length right; your elbow should be at a right angle when you're holding the top of the pole. However, you may want to adjust the length for ascending or descending (shorter for uphill, longer for downhill). Don't leave them hanging from the wrist loops if you need to use your hands on technical terrain. This can easily lead to a broken wrist. Stow them in your rucksack instead. When using poles on technical terrain or a river crossing, be mindful of your placement to ensure they don't slip. Use them for balance rather than to move your weight. 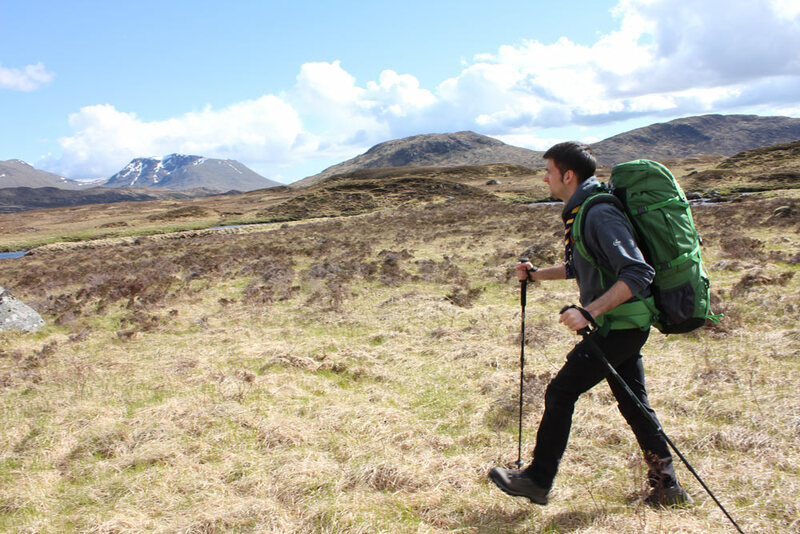 Vango offer a range of walking poles and with the prices being affordable, and their rucksacks including walking pole attachments, there's no reason not to try them out on your next hike. Your knees will thank you!